Motorcycle Fatality at the S Main Roundabout -Single Male Rider Going North -Pronounced Dead on Scene (64804) – This morning around 12:30 a single motorcycle crash resulted in a fatality at the 50th and South Main Street roundabout. Joplin Police Department exclusively tell Joplin News First, “Northbound motorcycle failed to negotiate the roundabout at 50th and Main. Single male rider was ejected and pronounced dead." Newton County coroner, Dale Owen, responded to the scene. He tells Joplin News First today that next of kin has been notified but any further information will be coming from the Joplin Police Department. According to eyewitnesses and Joplin News First tipsters there was another rider on a separate motorcycle who refused medical treatment and was thought to not be involved in the crash fatality. The name of the single male rider is not being released at this time. Joplin Police Department tell us additionally that the traffic department is still doing their preliminary investigation which is a part of many crashes and a detailed report is always filed when it involves a fatality. More details will be released tomorrow. 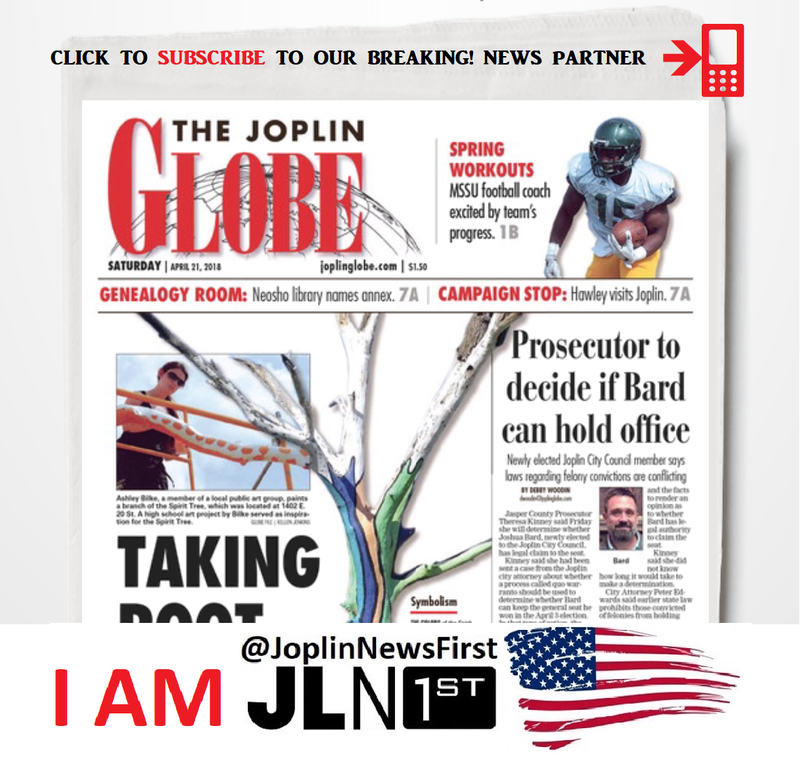 But when you want to know ‘first, it’s Joplin News First.